Dermalogica Lip Balm Reviews: Should You Really Buy This Product? 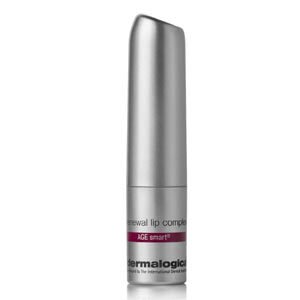 Dermalogica Lip Renewal Complex is marketed as a daily lip treatment, which is meant to restore the delicate tissue around the lips and helps to prevent signs of aging caused by damaging skin care and beauty products. The eyes aren’t the only place that shows the most obvious signs of aging. The delicate skin around the mouth is one of the first places to show signs of aging as well. Dermalogica Lip Renewal Complex is meant to help fight off environmental aggressors as it soothes the skin and reverses the look of lined lips. This luxurious blend of acovado oil, shea butter, and cocoa seed butter smoothes uneven, chapped lips as it helps to prevent any further signs of aging. For best results, you may apply Dermalogica Lip Renewal Complex to the lips at least two times per day in order to maintain healthy, young-looking lips. You may apply this product more frequently if you’re experiencing particularly dry lips due to environmental exposure. 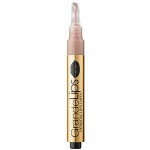 Dermalogica Lip Renewal Complex retails for $27.00 per 0.06 oz. of product on Dermalogica’s own website and several other well-known beauty retailer sites. Arginine/Lysine Polypeptide: This ingredient is meant to bind sugar to the body to prevent the formation of AGE, a sugar-protein complex, which can lead to stiff collagen. Palmitoyl Oligopeptide: This peptide conditions the skin and promotes collagen formation. This ingredient also helps to reduce the look of fine lines around the lips. Theobroma Cacao Seed Butter/Avocado Oil/Rice Bran Oil/Wheat Germ Oil/Shea Butter: These emollient ingredients are rich in vitamins and help to condition and smooth the lips. Ultimately, these hydrating ingredients help to prevent over drying. Hyaluronic Acid: This well-known anti-aging ingredient helps the skin to retain moisture for long periods of time and plumps the skin. 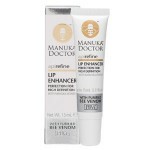 This lip treatment is manufactured by a well-known, trusted skin care brand. This product does not contain any artificial fragrances or color. 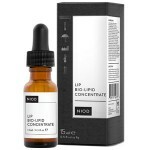 This lip treatment helps to fight free radicals as it soothes the skin. This lip treatment is rather pricey. Customers claim this product feels goopy on the lips. 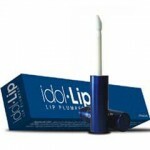 Customers claim this product makes their lips feel dry a few hours after application. A good lip treatment can be the key to a younger, healthier look. Dermalogica Lip Renewal Complex claims to boost the lips with some much-needed hydration as it prevents further damage due to free radicals. Although this may sound like the perfect all-in-one treatment, there are several issues we’d like to point out before you consider purchasing. First of all, this product is a bit pricey for something that essentially acts as a lip balm. Although this product does contain some skin healthy, protective ingredients, this still costs a bit much for anyone on a budget. Secondly, customers claim this product has a very sticky texture upon application, and actually leaves the lips feeling extremely dry and dehydrated several hours after applying. For a product that claims it provides the lips with much-needed moisture, it’s curious as to why customers would be left with dry, dehydrated lips after use. We’d recommend continuing your search for a lip treatment, which offers long lasting hydration and has an emollient, smooth texture. Dermalogica Lip Renewal Complex is sold on several websites that have very reasonable return policies. One well-known beauty retailer site offers a 100% money back guarantee if you are not totally satisfied with your purchase. All you need to do is return the product within 30 days and be sure to have your original proof of purchase.